The Irish Times today notes that last night was the deadline for posters with fines of €150 for each one found on a lamppost or whatever from today on. You’d have to wonder if that will actually be imposed, but going through Dublin city centre today and down by the ‘docklands’ there were still more than a fair few around. Anyone know how this is applied? … a quiz from the Guardian. I got eight out of ten, but truth is a fair few I had to make as good a guess as I could. Join us at 16.15 on June 11th for Dr. Donal Ó Drisceoil’s Afternoon Talk on Resistance, Rebellion and Jazz: Ken Loach’s Takes on Irish History. A lecturer in History at University College Cork, Dr. Ó Drisceoil was historical advisor on both The Wind that Shakes the Barley (2006) and Jimmy’s Hall (2014). …and then everyone will love you. Actually, there’s practically a checklist in operation here. The surprisingly low turnout in middle-class areas in last week’s elections carried a threat or promise for both Coalition parties. The threat was that if they don’t get their act together then the general election will reinforce the drubbing they received in the locals and Europeans. The promise was that a lot of people who voted for them in 2011 have not yet decided to vote for somebody else and may return to the fold if they are given a good reason to do so. It is reassuring that Brendan Howlin looks set to remain as Minister for Public Enterprise and Reform. He has a good working relationship with Michael Noonan and that will be pivotal to the Coalition’s chances of turning things around politically. Labour TDs, and their FG Coalition partners, now have a lot of thinking to do about how they can continue to provide stable government in the next 18 months and still face into the next election with some prospect of survival. Many of the senior people in Labour feel aggrieved at what they, with some justice, believe has been the sustained hostility of much media from the day they took office. “I hope the commentariat is happy now that it has got what it wants,” one angry Labour Minister observed in the immediate aftermath of Gilmore’s resignation. Surely they’ve got to be kidding if they think that’s the problem? One of the main gripes about the media is the level of unremitting criticism of Government for almost every decision it takes. The focus is invariably on the negative impact policies have on individuals, with little attempt being made to put those decisions in the broader context of the common good. An allied criticism is that the media provides very little scrutiny of the often hair-brained policies put forward by the Opposition. That encourages the public to believe that there are simple and painless solutions to the major problems facing the country. If Labour is to have any chance of turning the tide it needs to stand up for what it has achieved in Government rather than giving the public the impression it is half ashamed of it. The core success story of the Coalition is economic recovery. And Labour should be proud of it. Carping at some of the decisions required to bring it about only gives the party the worst of both worlds. One of ‘groups’ I found by accident in the mid 80’s. I was very much a fan of many things released by 4AD and read a positive review of the album “It’ll end in tears”. The review lodged somewhere in my brain and some stage later I saw it in a record shop and bought it. It was one of those albums that I bought having gone into the shop to buy a record, no record in particular but a record. There were albums I’d save up for , albums I’d have on a wish list, new albums by a certain artist that I’d have to get but this was one I just bought on spec. I must have had a ‘record token’ or birthday money burning a hole in my pocket! The album didn’t disappoint and it was a strange mix of haunting instrumentals with Elizabeth Fraser of the Cocteau Twins and Lisa Gerrard of Dead Can’t Dance among others doing vocals on the other songs. It was one of the first albums I’d have listened to with headphones on just to fully appreciate it. A few years later the second album “Filigree & Shadow” came out , it was a double album and though it was very good I wasn’t too found a number of the tracks, which of course was a curse when listening on a record player. Then in 1991 the final album ‘Blood’ was released. Another Double Album it was very good and contained a lot more instrumental tracks than the previous two albums. This Mortal Coil was not a band, but a unique collaboration of musicians recording in various permutations, the brainchild of 4AD kingpin Ivo Watts-Russell. The idea was to allow artists the creative freedom to record material outside of the realm of what was expected of them; it also created the opportunity for innovative cover versions of songs personal to Ivo. An example of this was the Cocteau Twins-starring version of Tim Buckley’s ‘Song to the Siren’ which became the first This Mortal Coil release in 1983. Originally intended as a B-side for the ‘Sixteen Days’ 12″, the result was so powerful that it was decided it should be the A-side of a 7″ single. This Mortal Coil’s full-length debut, It’ll End In Tears, arrived in October 1984 and was a long-term feature at the top of the UK Indie charts. In addition to the Cocteaus, this brilliantly-woven aural tapestry featured members of 4AD artists Colourbox, Dead Can Dance, Modern English, Xmal Deutschland and The Wolfgang Press, plus ex-Magazine/Buzzcocks frontman Howard Devoto and celebrated cellist Martin McCarrick (who has worked with everyone from Marc Almond to Therapy?). Ivo turned his attention to the follow-up record shortly after It’ll End In Tears was released. Work began at Palladium in Edinburgh, with Martin McCarrick and studio proprietor Jon Turner, and the record was finished with John Fryer at Blackwing in London. Named after a song by the ’60s band Fever Tree, Filigree And Shadow was intended from the start as a double album. As before, he drew on a large pool of musicians – Simon Raymonde made important contributions, as did members of Colourbox, Dif Juz and The Wolfgang Press – but this time the bulk of the vocalists came from outside 4AD’s orbit. The selection of cover versions included material by Tim Buckley, Gene Clark, Tom Rapp, Judy Collins and Colin Newman. Filigree And Shadow was issued in September 1986, preceded by a limited edition 10-inch single coupling striking interpretations of Van Morrison’s ‘Come Here My Love’ and Talking Heads’ ‘Drugs’. A reflection of a turbulent period in Ivo’s life, 1990’s Blood was always intended to be the collective’s final recording. Once again, John Fryer, Jon Turner and Martin McCarrick all played significant roles in shaping the music, while the vocals came from This Mortal Coil newcomers such as Caroline Crawley, Heidi Berry, Kim Deal and Tanya Donelly. Cover versions this time out included songs by Chris Bell, Syd Barrett, Rain Parade, Rodney Crowell and Mary Margaret O’Hara, while Ivo’s own lyrics graced several of the album’s originals. …in relation to the leadership announcements of White and Burton. White was in Dublin city centre on the new Rosie Hackett Bridge, Burton at the Dáil. 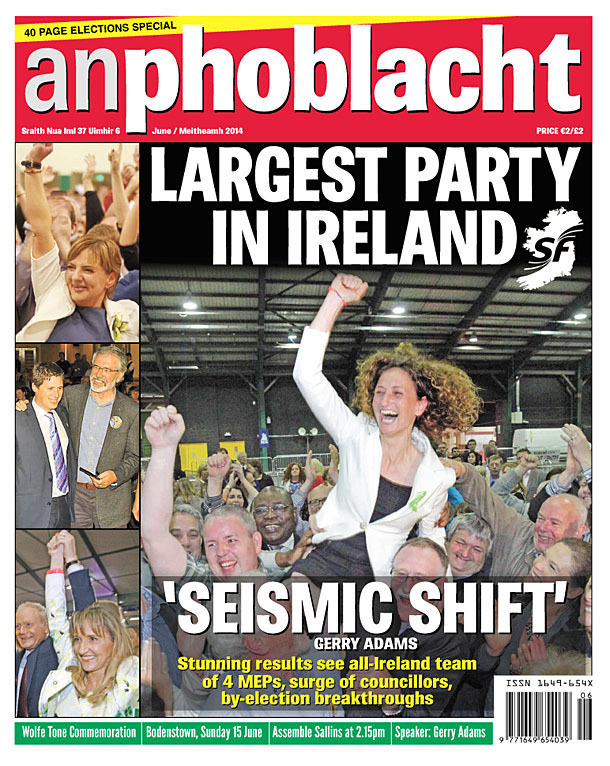 And notable how White was surrounded by some – ahem – younger TDs and councillors. Not that it much matters one way or another – but the positioning in advance of the leadership election is telling. In a way the fact it is White and Burton going for the leadership says it all in regard to how few big hitters the LP has at this stage who can go forward. And truth is neither of them is exactly charismatic. Nor are they able to put clear blue water between them and the government. Still, it will be an useful insight into the thinking of the LP as to which is less problematic for voters, once the election is concluded, will it not? Also in this month’s paper . . .
Posted by WorldbyStorm in Irish Left Online Document Archive, Irish Politics. …to here, for Alex White, who has announced he is contesting the Labour leadership. For more on the League, here’s some information from the CLR, and here are documents from the Irish Left Archive. BTW, this is intriguing from Diarmaid Ferriter in today’s IT. Thought this question was so good that it deserved its very own quiz…..
1. The brother of which Minister was a presenter of the TV show ‘Bosco’ ? 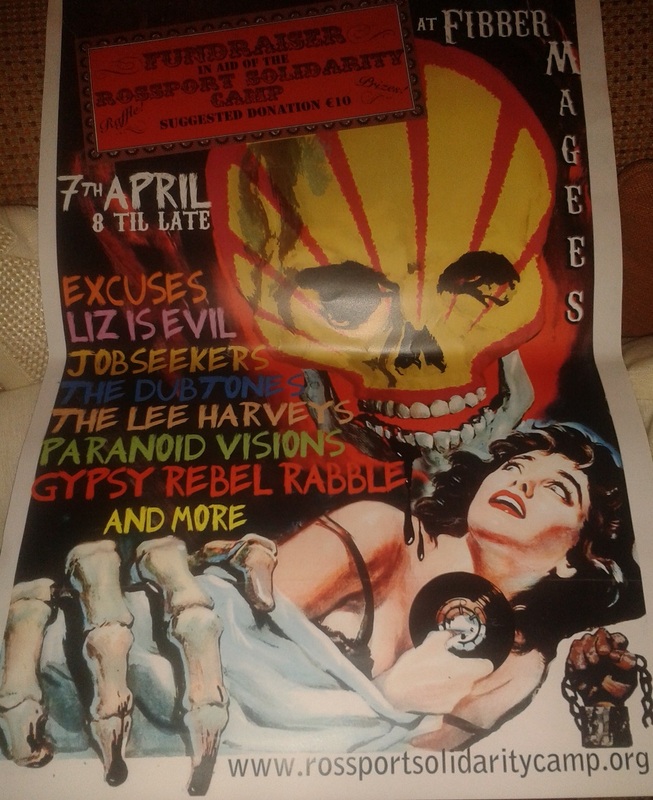 The above is a wonderful Shell to Sea benefit gig poster. Starting off this week with “The Cork Star” an anti Sinn Fein leaflet distributed anonymously on the Northside of Cork during the election campaign. A leaflet from Joe Higgins issued during the Dublin West By-Election Campaign. It attacks Sinn Feins innacurate use of polling data. A leaflet from Sinn Feins Martina Anderson, interesting to see what the issues for them are North of the border.